Organometallic chemistry plays an increasing role in the synthesis of nanoparticles, as it provides a reliable access to metal nanoparticles with efficient control over their morphology, organization and surface chemistry. In case of magnetic nanoparticles, the synthetic tools provided by organometallic chemistry allow access to nanomaterials of high magnetization, meaning that no dead surface magnetic layer is observed. These objects are thus good candidates to be used as building blocks in composite materials of high added value. 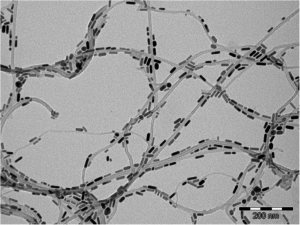 This paper reports on the organometallic synthesis of composites made of cobalt nanoparticles and carbon nanotubes. 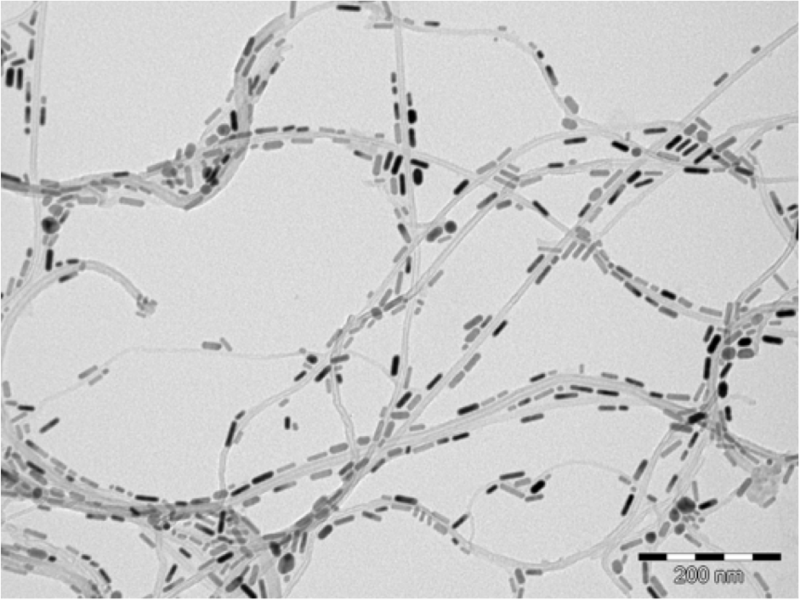 TEM investigations show that attachment of cobalt spheres and rods along the carbon nanotubes is achieved, the rods and tube long axis being aligned parallel to one another.